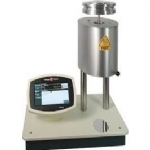 MP1200 Melt Flow Indexer 46-01-00 Basic and Advanced models. What you get: Basic model MP1200 Melt Indexer. Remember to order your weights in the Related Products Tab. Additional weight capacities, Weight lowering device, Actuating switch are available. FREE SHIPPING IN CANADA AND CONTINENTAL USA.